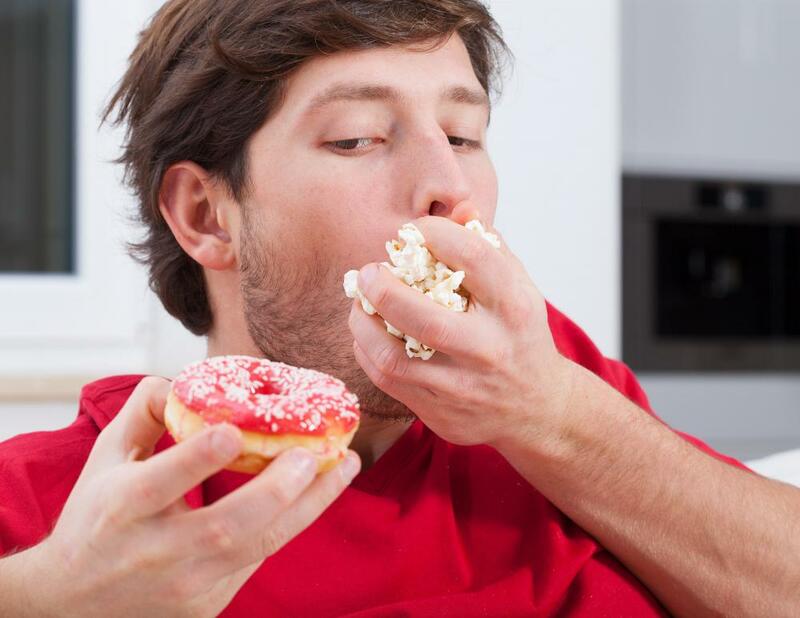 Junk food often makes people feel sluggish and unmotivated. It's important to schedule breaks throughout the day to maintain productivity. At some point in life, you may feel like you are not being productive enough. Admitting your lack of productivity is the first sign of turning things around and picking up the speed. Not only is it a handy skill to have for work, it is also one that is beneficial to have through life. In order to be more productive, it takes a little effort, some willpower and a bit more energy. When you feel lethargic, the last thing you are probably thrilled about doing is any type of work or anything that requires any effort. After eating junk food, many people tend to feel more sluggish than if they were to eat something healthy. If you want to be more productive, consider eating more healthy foods that can offer an added energy boost. For example, try munching on some peanut butter and drinking a glass or two of water. It could help provide the boost of energy that you need to be more productive. When you want to be more productive, you should make an effort to organize your tasks so that it is easier to keep a clear head and not get so overwhelmed. Think about making a task list, which can be a way to show how your progress is going throughout the day. Make the list the night before so you can start executing it first thing in the morning. In addition, it is a good way to prevent you from forgetting to do tasks. Aim to finish at least three-quarters of your list by the end of the day, and at the end of the week, review the lists and see how you fared. Another way to be more productive is to do the hardest, most challenging tasks first thing in the morning. This can prevent you from procrastinating on the work or errands that you consider a nuisance. After finishing them first thing in the morning and getting them over with, it can be motivation to do the other smaller tasks throughout the rest of the day that take less energy and brainwork. There are little spaces throughout the day when, totaled up, can result in a lot of time where things can be accomplished. If you take public transportation to get to and from work, consider doing some tasks during the commute. When on the phone, do some chores around the house and when you are on lunch, make a phone call or two. When you take advantage of the little moments, it can add up to a lot of free time at the end of the day. Being more productive is doable if you are willing to make some changes. Sticking to the cause and making small adjustments cannot only be more advantageous at work, but in your personal life as well. With some effort, you can be a more productive person and get everything accomplished that you need to in a smaller amount of time. What Is the Most Productive Day in the Work Week? What is a Morning Person? During college, we had the most hectic weeks before the semester ended. There were papers to write and exams to prepare for which meant that we basically needed to study all day and sometimes through the night. It was so hard! My best friend and I decided to meet up and study together one semester. Sometimes we went to the library and sometimes to other buildings on campus. We would even meet up at the cafe sometimes and studied there while having ice cream. and I did the same for her. We kept each other on track and it was not boring because my best friend was right there to chat with me if I got restless or tired. I think I got the best grades that semester. It can be much more productive to work in groups, but still individually. You should study with others who have the same mindset and who won't distract you though, otherwise it might do more bad than good. I definitely get more done and have fun when I study with other people. If I need to be working on something but cannot concentrate, I take a short break and do something that's completely unrelated. I might go out and get some coffee or meet up with a friend for lunch. When I take little breaks between work, I am more productive and feel more enthusiastic about what I'm doing. If I push myself to work without breaks, I end up wasting more time by working very slowly. I also think that I am more productive during the weekdays if I spend the weekend resting and doing things for myself rather than working.